Trees are a very important part of our urban environment. 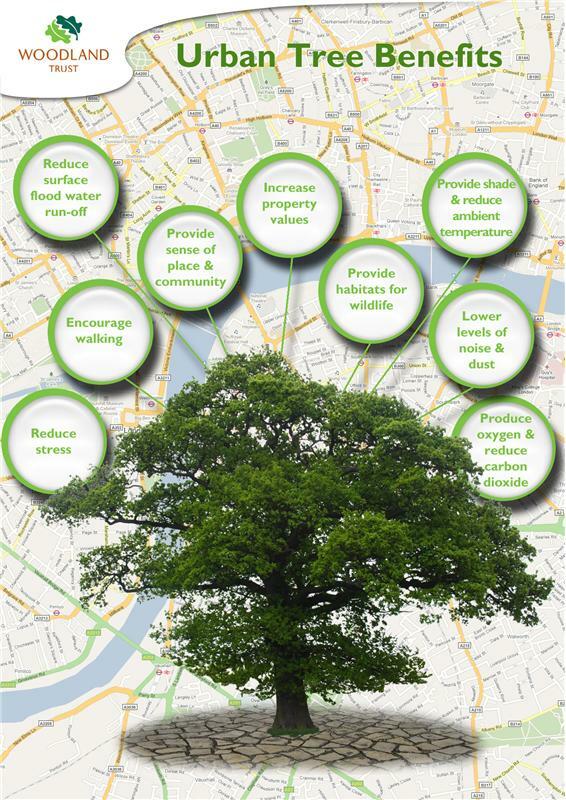 Urban trees filter air, water and sunlight and reduce air pollution. They moderate local climate, slow wind and storm water run-off, and shade our buildings to conserve energy. Trees protect us from UV radiation that causes many cancers. Trees are also critical in cooling the urban heat island effect, thus they reduce the number of unhealthful, smog days. Walkable cities need tree shade on our streets and paths to support healthier citizens. Beauty from trees is an added community benefit. The economic benefits of trees have been understood for a long time…..and justify expenditures to maintain them. For example, a deciduous tree planted on the south and west of a building offers shade that cools the building during the summer, but allows the sun to warm it in the winter after the leaves fall. Businesses flourish, people linger and shop longer, apartments and office space rent quicker, tenants stay longer, property values increase, new business and industry is attracted. (USDA guide). They have also been shown to increase property values by 10-23%. The physical effects of trees: the shade, humidity control, wind control, erosion control, evaporative cooling, sound and visual screening, pollution absorption and precipitation, all have economic benefits. 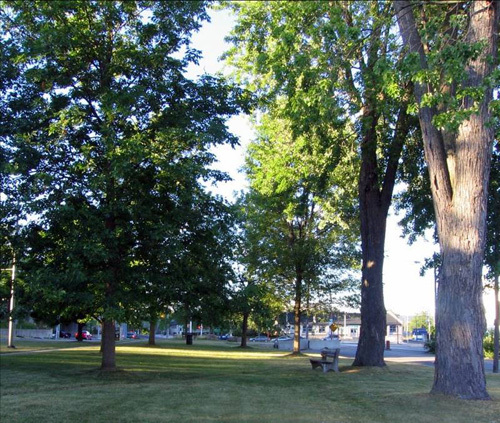 UV protection from tree shade reduces costs to the health system (Skin cancer is the fastest growing cancer in Ontario and walking lowers the rates of obesity, heart disease and diabetes). We need shaded streets for more walking and biking. Trees also reduce storm water management costs through slowing the runoff and stabilizing river quantity and quality. They provide shelter and food for animals and pollinators. Next Post Trees Are Good For The Environment And The Bank Book Too!